Watch Ultra HD (4k), Full HD (1080p) without spending a dime! Blazing fast servers – buffer-free! Cure Help Resources – health tips and more. Converting to Solar Power: Build Your Own Solar Panels or Buy Professional? Date: December 2, 2015 Author: adMin Leave a comment on Converting to Solar Power: Build Your Own Solar Panels or Buy Professional? Have you decided to go solar? If so, congratulations. You’ve taken the first step towards joining the thousands of others who are part of the renewable energy movement. Before you take step two, acquiring solar panels, you need to decide whether you want to build or buy. In this article I will explain the advantages and disadvantages of both building your own solar panels and buying professionally made ones. Are you a do-it-yourself type of person? If so, you’ll probably want to build your own.This could save you thousands of dollars, depending on the scope of your project. In addition to saving money, you’ll also gain valuable knowledge about how solar panels are constructed, which means you’ll have no problem maintaining and repairing them as they age over time. Also, if you are a DIY kind of person, building your own panels is a project that you are going to enjoy. It involves soldering, wiring, drilling, frame constructing, and mounting. Oftentimes, the project itself is motivation enough for someone to build his or her own panels. Of course, the project is not for everyone. Do you have experience as an electrician? Solar panels put out a lot of energy, and, if not properly wired, they can be a fire hazard. Are you experienced at soldering? Each solar cell in your panel needs to be connected with wire. These connections need to be bound by someone who knows how to solder properly. If you do a poor job, your panels may not work properly. In addition, many homeowner insurance policies do not cover damage caused by homemade panels. If you build your own, you’ll have to check your policy exclusions before mounting them. Finally, are you hoping to take advantage of the government subsidies and tax breaks for those who convert to solar energy? In some states, homemade panels do not qualify for these incentives. Again, you’ll have to do your research before building. 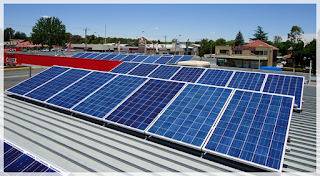 The greatest advantage of buying professionally made solar panels is safety. Any commercially made panel will have been manufactured under stringent federal guidelines. They will have been tested and retested to ensure that they are safe. They are also more efficient and reliable than homemade panels, and they tend to generate more usable power. This, of course, depends on the quality of the work you can do as a DIY enthusiast (some are better than others). Finally, professionally built solar panels qualify for all government incentives, which helps offset their much higher price. Unfortunately, even with these government incentives, professionally built panels are far too expensive for the average homeowner. Also, if you have come across this article, you are probably a DIY homeowner who is looking for a new project. If you buy assembled panels, you are not going to have much of a project to do. All installation and electrical work will have to be done by a professional; otherwise, you risk voiding the warranty of your very expensive new solar panels. Are you are a DIY enthusiast looking for a new project? If so, you should build your own solar panels. It’s a fun, challenging project that will give you the opportunity to use your skills while also building something useful. If you do build your own panels, and you are not an electrician, consult a professional before hooking them up to your home’s power system. Also, check with your insurance company to see what their policy is in regards to homemade solar panels. If they don’t cover homemade solar panels, not all is lost. Just install your panels next to your home instead of on your roof. If you decide that you want to buy professionally built panels, then you have some research to do. Of course, the best place to start is the Internet. Shop around and learn as much as you can. When you feel that you have a good grasp of the solar panel market, contact a local company and start negotiating. You may be able to get a good deal on a purchase plus installation package. Good luck and welcome to the renewable energy movement.